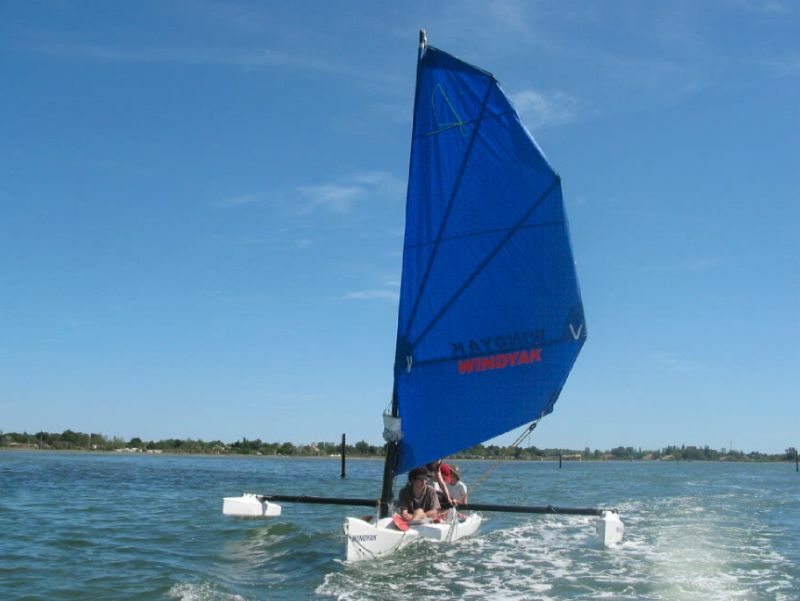 A performance boat, a good loading capacity for nautical trips, and still the advantages of WINDYAK concept. The original concept which has shown its surprizing capabilities. The usual length of a double handed sea kayak, that can carried without difficulties on an estate car/ station wagon. Major moulds are available (evolutions to be planned to include last concept’s improvements). Composite hull, aluminium beam, carbon mast, polyethylene floats.